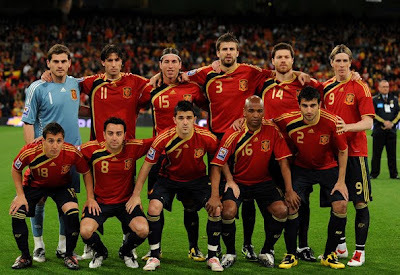 I am soooo happy to see Spain win their 1st World Cup. Now they are not only the euro champ but the world champ. David Villa of course is so great but the choice of changing Torres in for the extra time was also smart. He is young, energetic and skillful and eventually helped the setting of the goal. Not to mention Casillas, the best goalie ever, saved Spain any times. Remember that goal where he was flying to one side of while his foot reaching the ball on the other? Freaking amazing. Told you, Spain all the way from the beginning. They won! 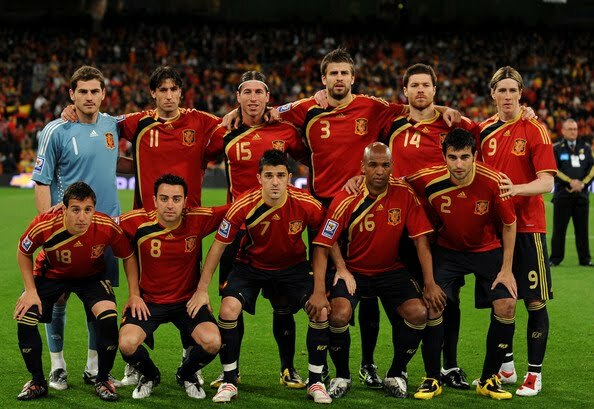 Best team of Spain in yearss with an average age of 26. Yayyyy I was honestly tearing up in joy to see them win! awesome glitter tattoos :) hehe yay espana! congratulations on Spain winning the world cup. Hurray to Spain! I have a strange obsession with Spain.